Victor Frankenstein learns the secret of producing life, and so, by putting together parts of various corpses, he creates the Frankenstein monster. The monster is huge and disformed, but he means no harm to anyone--until constant ill treatment drives him to murder and revenge. 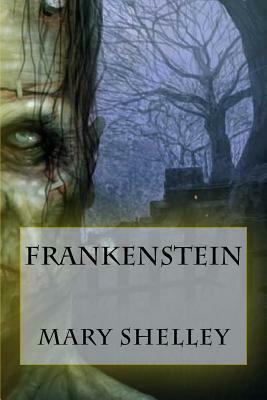 This easy-to-read version of Mary Shelley's long-standing masterpiece easily captures the sadness and horror of the original. Mary Shelley was born Mary Wollstonecraft Godwin on August 30, 1797 in London, the daughter of William Godwin--a radical philosopher and novelist, and Mary Wollstonecraft--a renowned feminist and the author of Vindication of the Rights of Woman. She eloped to France with Shelley in 1814, although they were not married until 1816, after the suicide of his first wife. She began work on Frankenstein in 1816 in Switzerland, while they were staying with Lord Byron, and it was published in 1818 to immediate acclaim. She died in London in 1851.